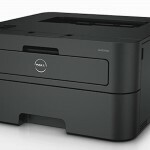 Add the highly rated Dell E310dw laser printer to your mailing system to get printouts of important accounting and postal transaction reports from software like MailOne 2.0. Save paper with automatic two-sided (duplex) printing. Print directly from mobile devices like iPhone and Android smartphones. Save tons of money on ink costs by printing textual documents with the Dell E310dw in high resolution laser monochrome (black & white). 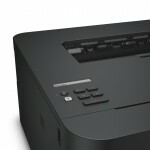 Get more out of your Dell printer by connecting wirelessly via WiFi to print from other computers and devices in your wireless network.